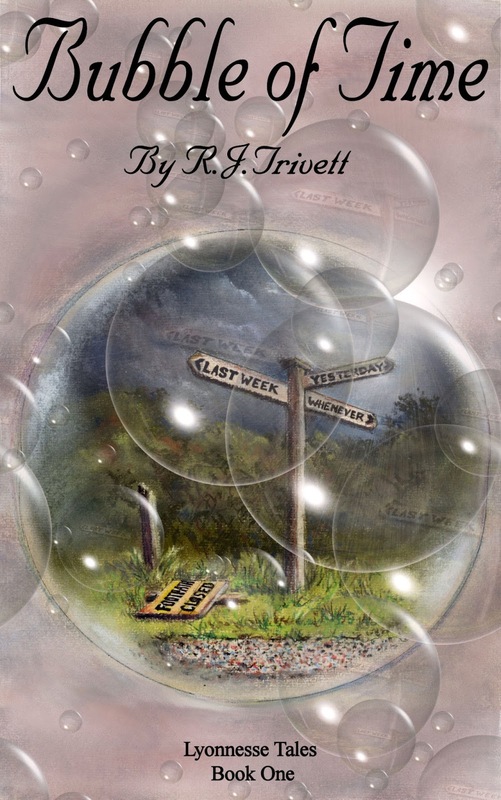 My book is called Bubble of Time and is the first installment of the Lyonnesse Tales. It is a light-hearted and hopefully humorous fantasy. I like to think the book is suitable for teenagers of all ages. There is no blood and guts, bedroom scenes and the only swearing comes from the top line of the keyboard. I hope there is something in the book for teenagers and adults alike. I wanted to create a land where life was simpler, where magic still existed and money was not all powerful. However, I also wanted it to be discovered by someone from our own reality. Living in the southwest of Britain, the obvious place to set the series was in the mythical county of Lyonnesse, hence Lyonnesse Tales. But why can’t the rest of us see what was once a kingdom? Simple, because it is hidden in a bubble of time. The cover is a collaboration between a local artist, Hazel-Ann Willson and myself. I can’t draw for toffees so I gave her a brief for the original picture, then tweaked it to get end result. I wanted something that would convey being lost, not in space, but in time, thus the fingerpost has whens rather than wheres. 5. Who is your favourite character from your book and why? 6. How about your least favourite character? What makes them less appealing to you? My favourite character? Hum, I don’t really have a favourite, or to forestall your next question, least favourite. I like all the characters for different reasons, even some that only get a brief mention. Some are charactures of people of people stereotypes I have met, others are merely how I’d like people to be. For instance, the woman that runs the Post Office is based on a school teacher I had when I was seven. A very austere woman who had never married, had long silver hair pulled back tight and pinned into a bun, and always wore a tweed skirt and jacket. One thing? Like an artist, I don’t think an author ever really knows when to lay down the brush. That said, I’d have to say I’m happy with it the way it is. I’ve had some negative feedback saying I’m too wordy at times with some of the descriptions, but I think that is because I like to get across the scene as I see it, to paint the whole picture. But I can see how it can interrupt the flow of the narrative and is something I am more conscious of as I’m writing the second book. Perhaps that it has sat on a shelf unloved for over twenty years? Back then I was trying hard to be a professional writer, getting poems, newspaper and magazines articles published. I even had my own column in a magazine for a while. But life got in the way as it often does. Now I’m able to give more time to writing, not a lot as I’m still working full time, but I write purely for pleasure and with no deadlines. I have been greatly influenced by Terry Pratchett and the late Douglas Adams. Both have a tremendous use of verbal slapstick that can only work in the imagination, something I’ve tried to bring to my writing. And to a lesser extent, perhaps Tom Holt or Robert Rankin. Like whistling the Warsaw Concerto whilst drinking a glass of water? No not really. I am however, a committed motorcyclist or perhaps should be committed motorcyclist. I own 4 bikes at the moment, all from the late seventies or early eighties and ride as much as possible. My wife and I have just come back from fourteen days riding around France and Switzerland. We covered 2600miles in that fortnight, and that includes a five day and a three day stopover. The book itself can be bought from http://www.amazon.co.uk/dp/B00BNWH4KI in the UK. http://www.amazon.com/dp/B00BNWH4KI in the US and from https://www.smashwords.com/books/view/291239 anywhere. Book Two: Quest in Time is on the go at the moment. However, I’m not the most disciplined writer anymore, and working full time it is a bit of a slow burn at the moment, but I hope to have the first draft finished by the end of the year. After that? I want to continue with the Lyonnesse Tales and have several other story outlines for future books, but I also want to write some serious fantasy/sci fi too. TELL OTHERS! Sorry, but getting the word out is the most important thing for any indie author. Other than that, please give feedback, good or bad. Try and get someone you don’t know to read it first. A neutral opinion is very important and family and friends are sometimes reluctant to be critical. Then when it is ready push your work, really push it and don’t be put off by stacks of rejection letters. If it is good then someone will publish it. Just that I hope you enjoy the book. Let me know either way and hopefully it will improve the next! It was Sunday, and since his girlfriend was away visiting her brother for the day, Dave Unwin was partaking of his second favourite pastime, riding his motorcycle around the myriad of country lanes in Devon. It was early spring, and for once the weather was co-operating and he had not been forced to don his waterproof over-suit. It was still rather chilly so, in addition to his leathers he was wearing a multitude of layers under his leather jacket and quilted ski trousers over his leather jeans. If Dave was a stereotypical biker, as the media like to portray them, then by rights he should have been mugging little old ladies, robbing petrol stations, participating in illegal road races, or generally causing trouble. However, he was simply riding for the enjoyment of riding, and the thrill of exploring the largest network of roads of any county in the country. Nor was he travelling at high speed, far from it. Most of the unclassified roads were far too twisty, and the road surface too poor to travel safely at speed. And besides the potholes, loose gravel, lines of tar around old patches, fallen leaves, and mud, there were also the hazards prevalent in a rural setting, like organic landmines left behind by herds of cows, and psychotic pheasants with a death wish. No, Dave was content to ride at a sedate pace, and absorb the world around him. Occasionally he would stop by a gateway or pull in to a lay-by and take a drink of coffee from his thermos whilst admiring the view. He pulled away from another vantage point, and rode at a sedate pace along the minor road. He was simply riding for the exhilaration of riding and the sense of freedom it generated. Sweeping around bends, and slaloming his way around the multitude of potholes and patches that councils everywhere consider vital for all roads in tip-top condition. It was a beautiful spring day, with hardly a cloud in the sky. The hedges were in their first flush of vibrant green, growing for all they were worth before they would be trimmed back later in the year once the birds had finished nesting. A sign by the side of the road understated the U-bend ahead, but having ridden this way many times before he was ready for it. What Dave was not ready for was the imposing bulk of a big red tractor pulling a trailer coming the other way along the road as he went around the bend. Immediately he applied the brakes, the net result of which was to lock up the back wheel, causing the bike to skid on the loose gravel and mud on the road. The tractor coming the other way also braked, skewing itself and its trailer across the width of the road, making it impossible to get past it. In the mean time, Dave released the brakes and steered into his skid to bring the bike back under control. Even from the low speed he had been doing there was no way he was going to be able to stop on such a loose surface before he hit the tractor. By the side of the road was a gap in the hedge. By a democratic majority of one, Dave voted to head for this gap. It seemed to offer an altogether less painful option than sliding into the tractor . It could have referred to the vegetation but it didn’t, for the gap between the hedges quickly converged. The footpath was more than overgrown - it was undergrown as well. Brambles and dog roses criss-crossed the path like organic barbed wire. Nettles and docks fought between themselves for space amongst the knee-high grass in the middle, and the blackthorn hedges didn’t just loom on the edge of proceedings, they met and exchanged gossip in the middle. A panicked dab of the brakes and a sliding rear wheel informed him that the surface was even more slippery than the road had been and braking was not a good idea. There also appeared to be no room to turn around, not even a gateway or stile, which would mean that even if he could stop he would have to push the bike out backwards through the vegetation, so with no other option forthcoming he kept going. Dave’s knuckles were white inside his gloves as he griped onto the handlebars, whilst nature tried its best to get to grips with him and dump him on the ground. The dog roses and brambles ripped and tore at various parts of his protective leathers, trying to get at the vulnerable bits underneath. Inside his black helmet, his face was as white as a sheet. His green eyes bulging with fear, as he tried his best to stay in the saddle during that nightmare ride. A part of his brain, that was obviously not up to speed with current events, noticed what a wonderful smell the freshly broken vegetation gave off as he rode through it. It seemed to last forever. Perhaps it was his lot to spend the rest of his life riding down through that footpath choked with weeds, when without warning the foliage gave way in front of him. It parted to reveal another road. Heaving a sigh of relief, Dave managed to bring his bike to a halt. For a moment he just sat astride his bike, panting with relief. Somehow he had managed to get through it more or less in one piece. Which was more than could be said for his jacket and ski trousers. They were ripped and torn in several places, with the odd thorn sticking right through and into him by the feel of it. After putting the bike on its stand, Dave pulled off his gloves and helmet, letting his shoulder length brown hair cascaded down around his face, which was clean-shaven apart from a moustache, and still pale with fright. Freed from the confines of his helmet, he began to take in his surrounding. The road he had discovered had the traditional trappings of all little used country lanes. However, the grass down through the middle of it appeared to be meticulously manicured and the potholes had a curiously symmetrical shape to them, but otherwise it resembled any other road long forgotten by the authorities. Carefully he placed his gloves and helmet on the ground, and after a brief pause to pull out some of the more painful thorns, Dave reached into the tattered remains of his leather jacket and took out the map he always carried. He had gotten into the habit of carrying it for those odd occasions when, through no fault of his own, he found himself directionally challenged (or hopelessly lost). Opening it up, he quickly found the road he had been on and the U-bend. The footpath was not marked, nor, as far as he could make out, was the road he had emerged onto. This rather annoyed him. The map was a good quality one printed by the A.S. (The Ammunition Survey Group) and had been quite expensive. It was the kind of map favoured by ramblers and only covered about twenty square miles but showed every farmhouse, barn, and milking parlour, outside loo, rabbit hutch, and dog kennel. Those people who had been unfortunate enough to have stood still for too long when the survey had been conducted were also marked on the map as well, but what it didn’t show was where he was. 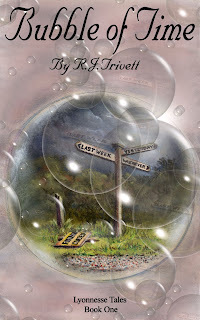 Thank you Rick for taking part in my Author Spotlight interview! I hope your writing continues to flourish and we hope to see more of you in the future.